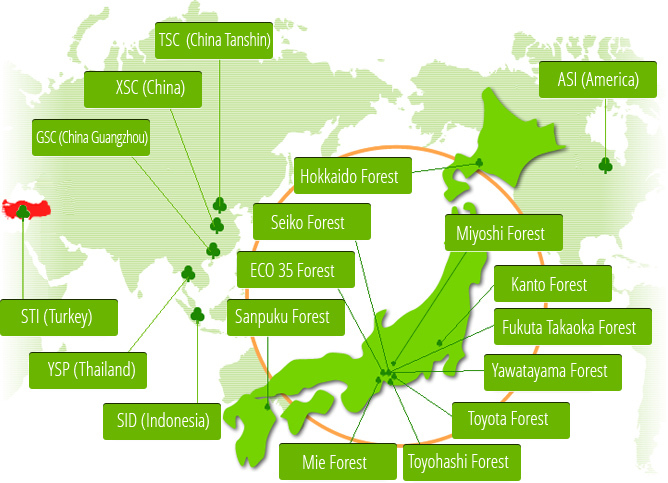 “Sango Forest“ is our soil improvement and plantation plan under the “Natural Forest Plantation” program carried out with the leadership of Master Miyawaki Akira at each plant around the world. By studying the ecological regions for developing forests, we acquired experience in planting forest that protect our existence in the area and prevent the disasters from happening through the development in a faultless scenario. This forest is a symbol of the continuing main technology in connection with the regional environment and our development. In all the activities of the group, we are aiming at acting with the logic of training people, production and environmental development, thus to become a company, which everyone admires.